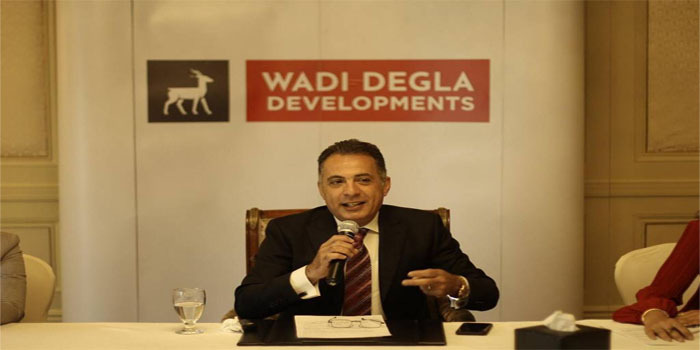 Wadi Degla Developments is looking to invest EGP 5.3 billion into residential and tourism projects within in 2019 and 2020, the company’s CEO said. The Egypt-based firm will deliver around 2,200 units in residential and tourism projects this year, Maged Helmy added during a meeting held on Monday in Cairo. Wadi Degla has logged EGP 2.52 billion in sales last year and is targeting EGP 3 billion in sales for 2019, Helmy highlighted. The property developer has invested around EGP 27.16 billion into six ongoing projects, he said. These projects include Neopolis Mostakbal City with EGP 20 billion in investments, as well as Blumar El-Sokhna with EGP 2.8 billion in investments, he noted. The CEO also pointed out that the company is building Murano at a cost of EGP 1.8 billion and Promenade New Cairo at EGP 1.3 billion in investments. Moreover, the company is constructing the first phase of Promenade October with up to EGP 745 million in investments, as well as Tijan in Maadi a cost of EGP 470 million, Helmy added. Wadi Degla has developed seven residential and tourism projects across Egypt since it was founded in 2015 with around 6,200 units.